Advertisers always seem to be chasing the next big thing. The current emerging trend is programmatic buying--data-based, highly targeted, automatic ad buys and placements--and marketers are starting to invest heavily. Advertisers always seem to be chasing the next big thing. The current emerging trend is programmatic buying–data-based, highly targeted, automatic ad buys and placements–and marketers are starting to invest heavily. 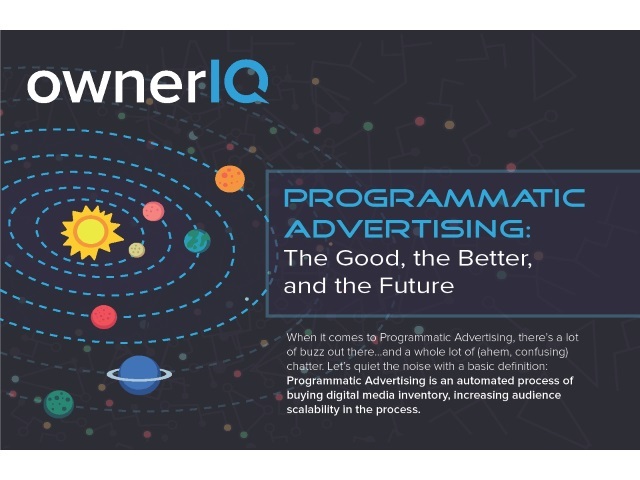 An infographic from OwnerIQ shows that programmatic is already capturing large segments of the ad market. Marketers have already realized the power of programmatic advertising, and 96 percent of those surveyed are already using it to buy display ads. In 2015 $14.88 billion worth of U.S. ads, fully 55 percent of digital display ads, were purchased programmatically. In total, 52 percent of all non-search digital ad transactions were programmatic. The infographic predicts that these methods could come to eclipse all others, and that 90 percent of the ad market could be steered programmatically within one decade. This year, programmatic will account for 63 percent of display ad spending, and by the end of 2017, sales are expected to increase to $32 billion. By 2020, programmatic could account for 85 percent of targeted banners and 67 percent of streaming video ads. Ad fraud is a growing problem within the ad industry in general, and it is a cause for concern. Programmatic buying, along with due diligence, could help weed out fraud and deliver impactful ads to real viewers. Programmatic ads are viewable at a rate of 44 percent to 55 percent, in line with industry benchmarks, and the industry average for suspicious activity is only 16 percent, which is substantially lower than regular display ad fraud rates.